I've been trying to draw more of these characters so I can complete my website. The alphabetical list is so close to being complete, so I'm seeing how many I can fill in before I get my official hoodie with the site link printed on the back. 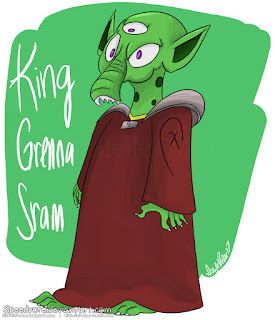 King Grenna is the World Leader of Sram, a frozen World overrun by robots known as Volzineons. He meets a tragic end when The Gek leads the Great Volzineon War. King Grenna cares about his children and attempts to help them escape the war, but Grenna Jr is the only one who makes it. 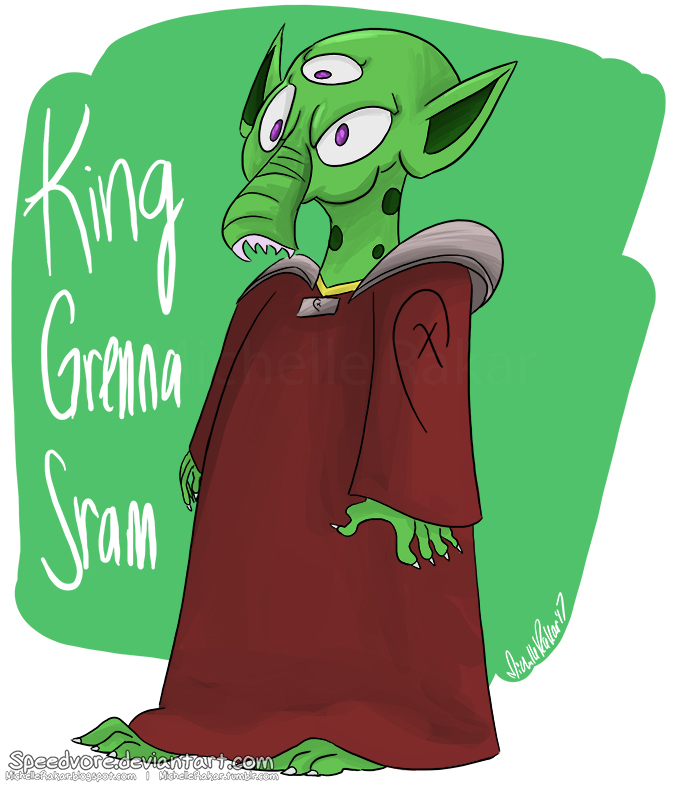 King Grenna is successful World Leader who enjoys conversing with the people of his World on a regular basis. 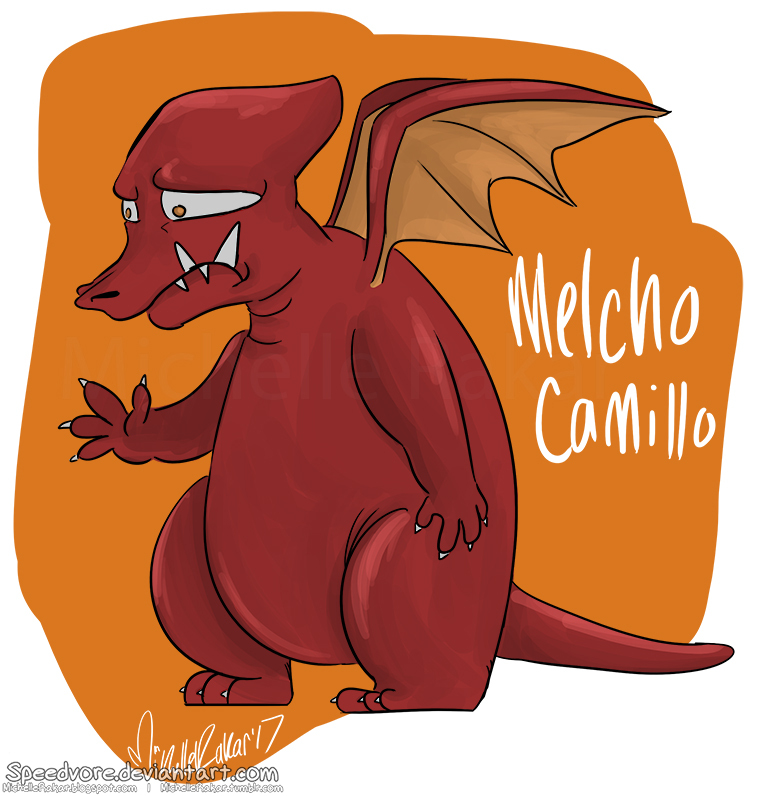 Melcho is a very incompetent Bird-in-Training who is very bad with kids. He lets his kids go out of control and cheat in competitions, and will do anything to make sure that he wins, because of his competitive personality. He ends up getting fired because of his lack of bird-in-training knowledge, and his lack of experience. He doesn't take his responsibilities seriously enough.